Dialectical Behavior Therapy (DBT) is an evidence-based therapy model that, when using the skills of this model, has been proven effective in managing intense emotions, reducing anxiety and depression, reducing self-harm behaviors and suicidal thoughts, and improving healthy relationships and healthy communication. create a life worth living. WHAT: A full-day workshop designed to give your teen a fun, informative, and skill-focused day over spring break! Your teen will also have the opportunity to work with FIVE of our Teen Team Therapists! 9-9:30 - Getting to Know Each Other! Complete the form below and we will be in touch shortly to schedule a brief phone call. Thank you! Jessica will be in touch shortly. If you missed out on the fall cycle, or you thought about joining but weren’t quite sure about this group therapy business, guess what: there’s another option! For the first time ever, Walking on Eggshells is being offered as a one-day workshop! If you want to connect with others who get your story, deepen your understanding of your own family patterns, and go into the holidays feeling more prepared...this workshop is for you! Have questions before you register? Contact Amy today to reserve your spot at the inaugural Walking on Eggshells Workshop. Interested in a similar workshop for your middle schooler? Try our Managing School Stress and Anxiety Workshop for Middle Schoolers. Making the transition to Kindergarten is SUCH a challenge for your child. They are OFFICIALLY a little big kid. That's some real responsibility. They're in a full day of school, taking the bus on their own, learning all day without a nap and doing it all without you. Your new kindergartener will likely be EXHAUSTED. They may start tantruming more, become withdrawn or whining because they're unsure how to tell you that being a big kid is a lot of work. As parents, if we're not super aware of what these behaviors mean, we may not know that our children need comfort during the tough time of transition. Kellie Cathey, LSW is creating a workshop to help you help your new kindergartener through the transition. What: A workshop designed to give parents a space to discuss the transition to Kindergarten. We want to give parents the space to get information about how to best handle the transition and connect with other parents who are experiencing a similar situation. Are you interested? Register by contacting Kellie! I'm applying to college, now how do I survive the process? An event designed for high school students to help them learn the skills necessary to stay calm, organized and optimistic during the college application process. Is your teen approaching their senior year of high school and beginning to feel the stress of choosing and applying to colleges? Are they worried about their GPA, SAT/ACT scores, essays, and acceptances? Do they feel overwhelmed making decisions about their future while balancing their classwork and activities? How can you help your teen stay calm and organized during the process? Our workshop, “I'm applying to college, now how do I survive the process?” can help! This workshop will be led by Lindsay Butler, LPC and certified school counselor. INVESTMENT: $75 for a 2 1/2-hour workshop. Payment is non-refundable. Ready to register your teen? One of the core causes of parental anxiety. The supermarket meltdown in childhood. One thing parents can do to make these difficult times more manageable is to have a set of tools to handle this inevitable part of their child's development. In this free workshop, we will work to de-stigmatize the tantrum and develop skills to help meet your child's temper with tenderness. What: A workshop designed to give parents a space to discuss temper tantrums. We will lead the discussion with open processing about temper tantrums, leading into information about the temper tantrum and how it looks differently in childhood and adolescence. We will close the workshop with tools to use when the time for temper strikes again. Why: We know that these moments are a challenge for parents. At the Center for Family Empowerment, it is one of our goals to provide resources for parents to feel more at ease raising resilient and empowered children. In this workshop, we will show you how to use the temper tantrum as an opportunity to strengthen the bond between you and your child instead of breaking it. If you're interested, register by contacting Kellie! Coming Soon... A full day workshop for teens! Space is limited! Jump on our waitlist to be the first to receive more information! Let's face it. Your child or teen is surrounded by technology. Phones, computers, apps, social media - the list could go on. Research tells us that the more we use technology, the greater our chances are for increased levels of anxiety and depression and decreased self-esteem. Research also tells us which apps are the worst offenders. 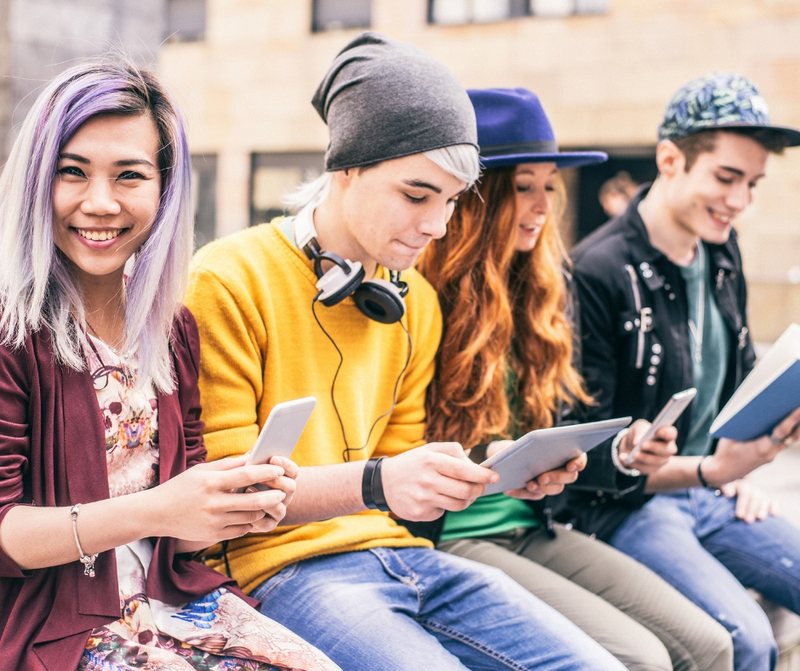 It can be SO HARD to monitor your child or teen's use, especially because they use technology not only to keep in touch with friends but also for school. How do you find the balance between allowing them to use technology and also setting limits for their own mental health and safety? Join us for a parent workshop designed to answer your most important questions about teens and technology. Ready to register and receive more tips on navigating technology with your teen? Fill in the form below and we'll contact you directly. Thanks for your interest in the Teens & Technology Workshop! Stay tuned for our best tips on this topic and for more details about the workshop. Time To Talk Temper Tantrums! One of the core causes of parental anxiety. The supermarket meltdown in childhood. The anger war with teens who won't compromise. Did you know that temper tantrums are normal and actually healthy (to a certain degree)? Yes! They are actually an inevitable part of your child's development. Although they are inevitable, they are definitely not fun. They test patience, they cause stress, and sometimes even make us want to tantrum too. One thing parents can do to make these difficult times more manageable is to have a set of tools to handle this inevitable part their child's development. In this free workshop, we will work to destigmatize the tantrum and develop skills to help meet your child's temper with tenderness. Enrollment is required. Please fill out the form below to reserve your spot!